IMG_1029, originally uploaded by All Things Mimi. But today, kindergarten was a cool place to be! 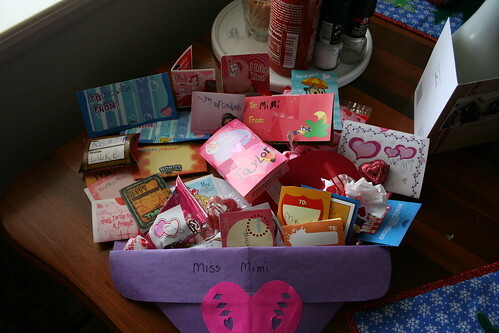 I've never received this many Valentines in one day in my whole life!!!! Plus- I got pizza and tons of chocolate! Wahoo!!!! Woohoo - nice valentines bootie. Hope you get to go to Denver.